Shop for all your Tanning & Bronzing from a variety of different brands. Greener Beauty is always vegan, always cruelty free, only ever ethical brands and always toxic chemical free. Eco by Sonya Extreme Exfoliant Glove This is no ordinary glove! 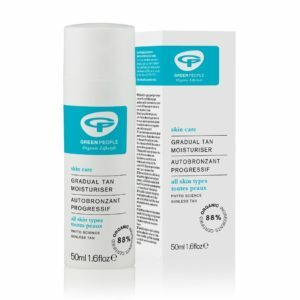 A must for pre and post tanning to reveal fresh smooth skin to allow a long lasting application of your fake tan. It can be used as a dry buffer or with with water. Multi Award Winning Eco By Sonya Organic Face Tan Water. The worlds first Organic and Natural face tan water. It is a gradual tanner created for Oily and Acne prone skins and will give you a lovely sun kissed glow without clogging pores. No need to use a moisturiser after use due to the amazing anti aging properties in this bottle of sunshine. No hidden nasties. No artificial colourants. No orange dyes. Overnight 8 hour organic tanner. Winner: Best Fake Tan at Beauty Shortlist 2017. Winner: Best Fake Tan at the Natural Health International Awards 2016. 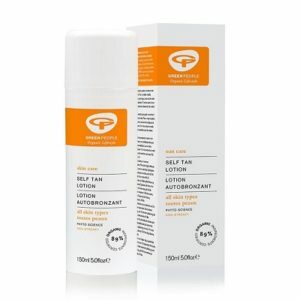 This amazing Invisible Tan is a moisturising hydrator that nourishes the skin and is suitable for the body and face. Eco by Sonya Winter Skin Organic Gradual Tanning Moisturiser for Body & Face. Eco by Sonya Winter Skin is a daily moisturiser that builds over several applications into a beautiful natural honey glow. This stunning product nourishes both face and body. Use as a full body moisturiser.